With the launch of the new website a few months back, SPES decided to upgrade our coyote sightings map. 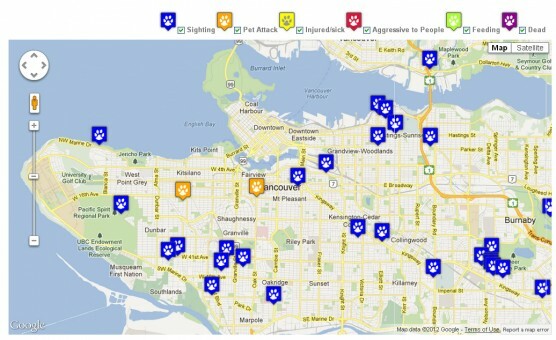 Now it is much more interactive and easy to use, and you have access to more information from reports than ever before, including the date, time and details of coyote encounters from around Vancouver. Find out if people have reported coyotes in your neighbourhood, or even better, report your own coyote sighting to us and we’ll put it on our map. Call 604-681-9453 or email coyotes@stanleyparkecology.ca to report your sighting.